After the events of 'The Avengers', Steve Rogers (Chris Evans) returns to struggling in a modern world. A new danger arises: The shadow soviet agent Winter Soldier (Sebastian Stan). With Nick Fury (Samuel L Jackson) assassinated, SHIELD becomes compromised by Hydra. Captain America has to teams up with Natasha Romanoff (Scarlett Johansson) to eliminate the imminent international threat before its too late. The movie got going very quickly with a series of dramatic action sequences, and this perhaps sums up the movie. 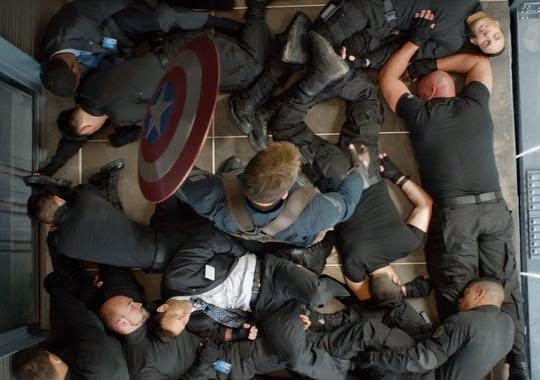 One of the most notable action scenes would be when Captain America was in the lift with the stylish build up, but this was unfortunately revealed in the trailer. Natasha Romanoff's action sequences were all intricately choreographed with style and sass, adding a comedic and feminine power to the scene. Whilst there were some interesting themes and some elements of a darker nature (I particularly liked the computational technology which closely resembles the main theme of upcoming film 'Transcendence'), The Winter Soldier is a conglomerate of intense action sequences that seem to mostly disregard much common sense and realism. Nonetheless, it was entertaining and enjoyable- the epitome of a popcorn blockbuster. Though the movie was not overtly long in length, the climax and finale did feel slightly dragged, and lacked a bit of a punch. There was a pleasant surprise during a tense scene which was one of the highlights of the movie. The ending was appropriate and lends itself to the rest of Marvel Phase 2 and the lead up to the Avengers sequel. Make sure you stay behind to watch the post credits scenes, there's two! Also stars Robert Redford, Emily VanCamp and Hayley Atwell. The expansion of cast and inclusion of recurring characters made this movie consistently tied in with the Marvel Universe, however at times feels distracted. I personally focused more on the kickass moves of Agent Romanoff, whose character was given yet another dimension in this movie (desperately hoping for a Black Widow film). Chris Evans's Captain America I felt was only slightly developed and only in conjunction with the dualistic persona of Bucky Barnes which was far more intriguing than the film's lead. 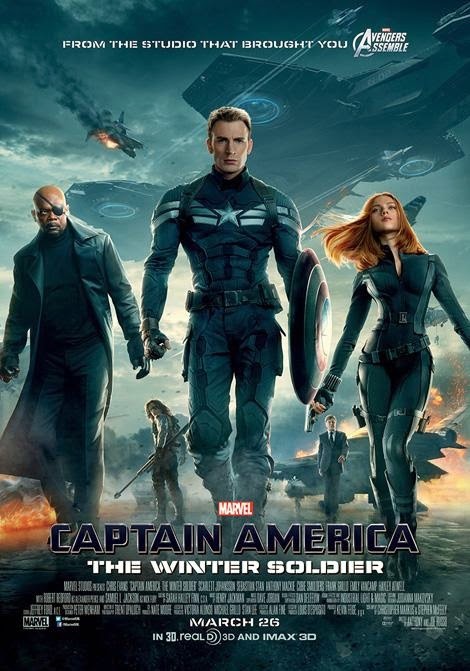 'Captain America: The Winter Soldier' is a solid action blockbuster that compliments Marvel's grand scheme of things. The pairing of Captain America and Natasha Romanoff was sublime: a righteous justice focused militant with a sassy and unconventional rebel. With wonderfully choreographed exciting action sequences matched with a witty script, the film will keep you at the edge of your seat. Ask me what the plot is, what the key themes were or what got me thinking in the movie- not much. Bring on The Avengers 2.